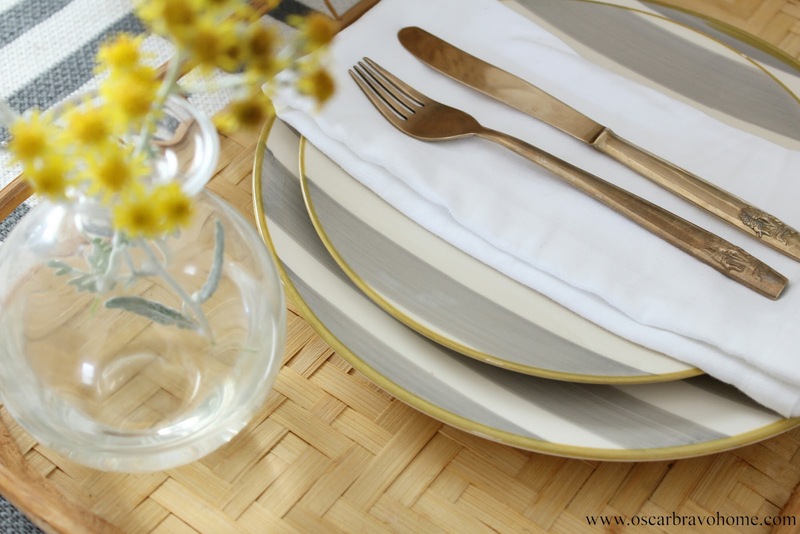 Oscar Bravo Home: Recent Thrift Store Finds- Styled! 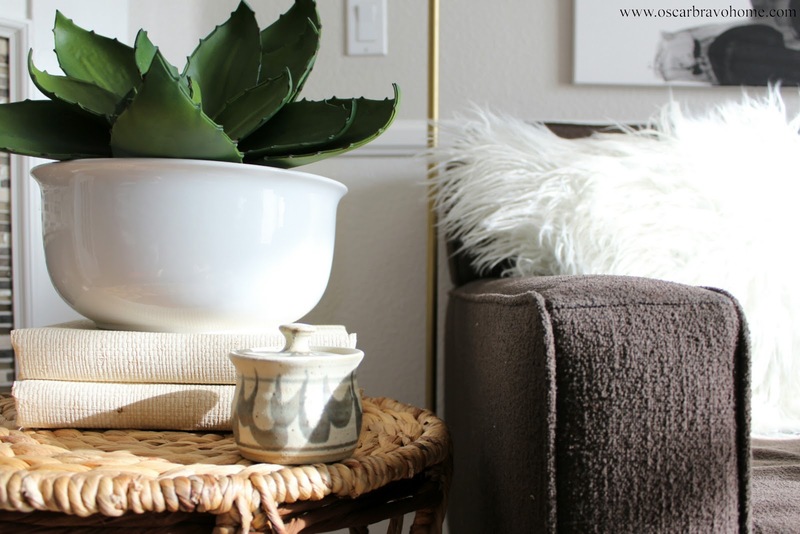 Recent Thrift Store Finds- Styled! Oh, how I love thrifting. The thrill of the unexpected, the one-of-a-kind pieces and the history behind them- all of that is so addicting! Thrifting is also very relaxing for me. It forces me slow down and really focus on my surroundings. And I like to really take my time in a thrift store. I walk the store a few times over just to make sure I don't miss anything. Also, I take a very casual approach to thrift store shopping. I never go in to a thrift store with a mission to find a certain object. If I happen to find something I love and is affordable, then GREAT! If not, it's no biggie. 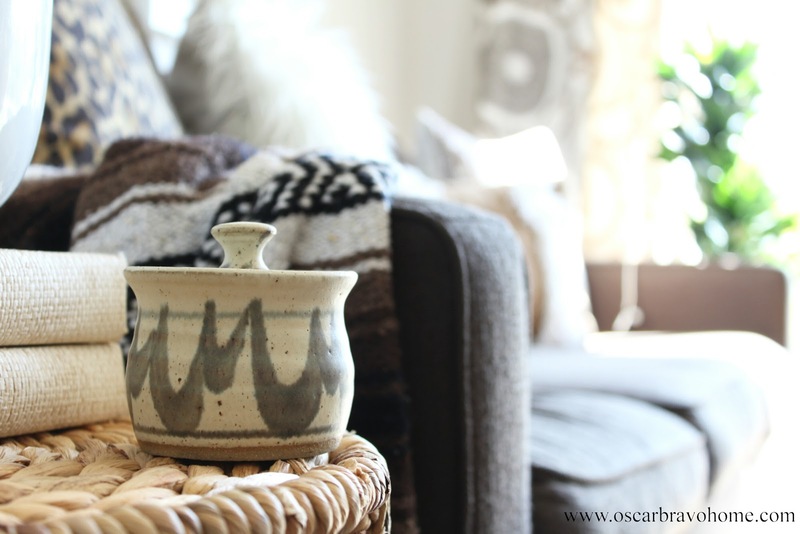 I recently visited two of my favorite local thrift stores and found a few things that I love. I had them sitting in my garage for a few days and I finally had a chance to play with them! found a few things: A large basket, a candleholder, a small pot, and 6 trays! I get this question a lot: "Where do you thrift shop?" I have my favorites here in my area, but if you aren't sure where your local thrift shops are, then go to thriftstores.net and type in your city to find out where the nearest thrift shops are to you! Thrift stores are usually well-stocked in baskets of all shapes and sizes. But this one was a bit different than the usual baskets I see. The size of this one was great! It's about 2 feet tall and nice & wide. I love the shape and also love that it has handles. I decided that my new basket will be showcased in the dining area along with a tall woven vase and a small vintage brass plate. This little vignette is the first thing I see when I walk through my front door and I must say, it's nice to be able to admire my new basket as soon as I come home. I also got a small clay jar thingy. I think it's supposed to hold sugar because there is a hole for a small spoon in the lid. Anyway, I loved the muted colors and texture of it. Pretty much, I seem to be attracted to items that have a hand-made touch. This little guy is sitting on my side table in my living room. Doesn't he look at home there?! Another cool find was a wooden bird-shaped candle holder. I AM IN LOVE WITH IT. 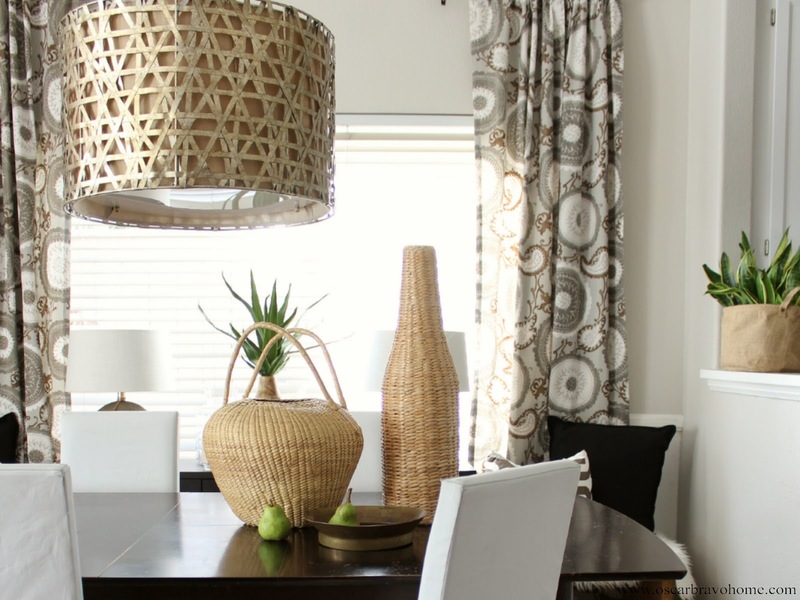 It almost has a Jonathan Adler feel to it. I styled it on my mantel besides a simple bud vase. I can already imagine using my bird candleholder A LOT during the fall months! 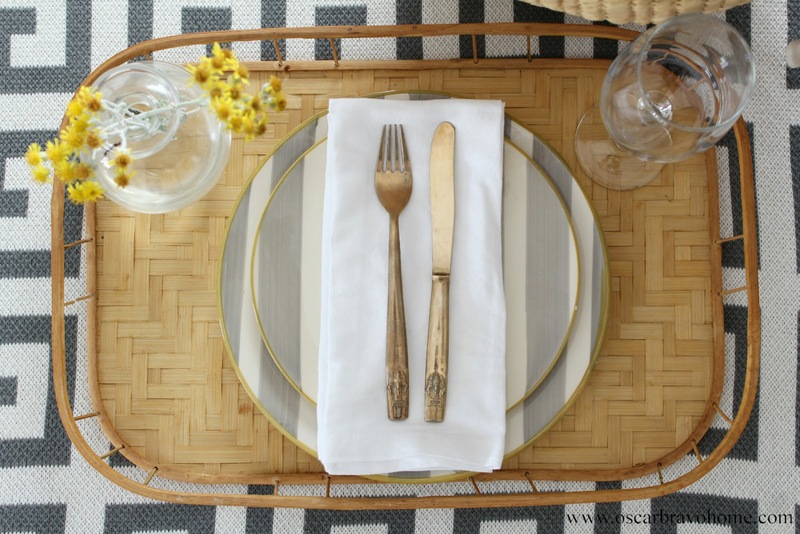 And last but not least, I want to show off my new bamboo trays! There were 5 on a shelf and I was hoping for 6. To my surprise, I ended up finding a SIXTH ONE a few aisles down! At $2.99 each I did not hesitate to throw these suckas in my cart! Thanks for allowing me to share my excitement with you! I love it! It all comes together, even that adorable ceramic sugar jar! After reading your blog, and mentioning, your ideas need to somewhat blend and have the same color scheme. Thanks! !